我很好，我很好。I am fine. I am fine. Sparkle, sparkle wallpaper, The whole room full of sparkles. Every where you look around, The room feels like the universe. Up above the crowd， like many small pieces of amber. Sparkle, Sparkle, soda, The whole refrigerator is full of sparkly soda. On top of the table, like many small cylinders. 雨，雨，別下雨， 以後再下雨。 Rain, rain, go away, Come again another day. 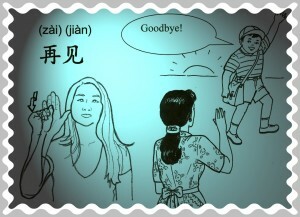 小（ ）要玩耍， 雨，雨，別下雨。Little________ wants to play, rain, rain go away. 一隻青蛙一張嘴， One frog, one mouth. 青蛙不喝水，真奇怪。The frog won’t drink the water, how strange it is. 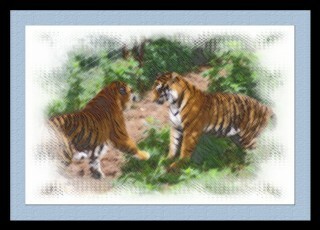 兩隻老虎,兩隻老虎,跑得快,跑得快, Two tigers, two tigers, Run so fast, run so fast. 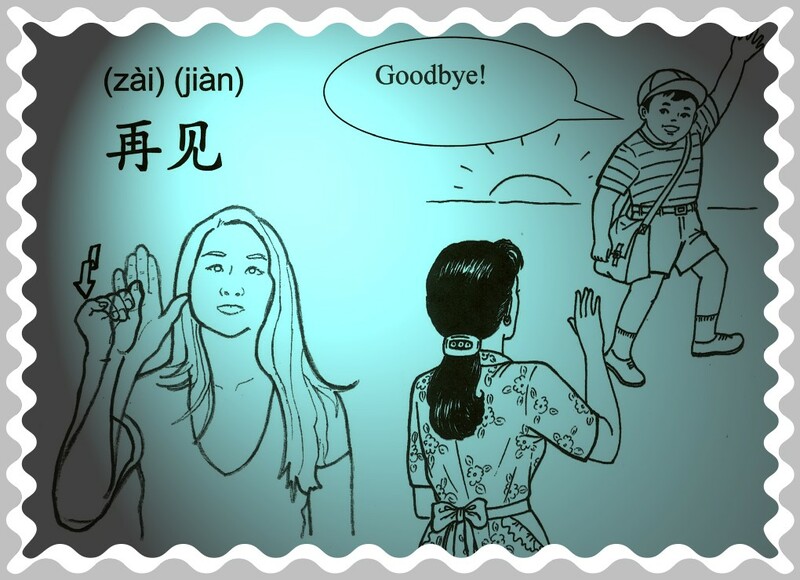 一隻沒有耳朵,一隻沒有尾巴, One doesn’t have ears, one doesn’t have a tail. 五隻小鴨出去玩，經過了高山到很遠。Five little Five little ducks went out to play, over the hills and far away. 鴨子媽媽呱呱叫，四隻小鴨跑回來。Mother duck said quack quack quack. Four little ducks came running back. 四隻小鴨出去玩，經過了高山到很遠。Four little ducks went out to play, over the hills and far away. 鴨子媽媽呱呱叫，三隻小鴨跑回來。Mommy duck said quack quack quack. Four little ducks came running back. 三隻鴨出小去玩，經過了高山到很遠。Three little ducks went out to play, over the hills and far away. 鴨子媽媽呱呱叫，兩隻小鴨跑回來。Mommy duck said quack quack quack. Two little ducks came running back. 兩隻小鴨出去玩，經過了高山到很遠。Two little ducks went out to play, over the hills and far away. 鴨子媽媽呱呱叫，一隻小鴨跑回來。Mommy duck said quack quack quack. One little duck came running back. 一隻小鴨出去玩，經過了高山到很遠。One little duck went out to play, over the hills and far away. 鴨子媽媽呱呱叫，沒有小鴨跑回來。Mommy duck said quack quack quack. None of little duck came running back.